The little things can add up to make a big difference, and that’s the case when comparing the luxurious 2018 Volkswagen Passat to the comparable 2018 Subaru Legacy. While the Legacy offers nearly as much engine power for almost the same economy, the Volkswagen emerges comfortably on top in performance and efficiency. Consider VW’s generous list of standard features and America’s best bumper-to-bumper warranty, and all those little things add up to a huge win for the 2018 Volkswagen Passat over the 2018 Subaru Legacy. Visit our Seattle showroom today to take a test drive and experience the difference for yourself. One of little ways in which the 2018 Volkswagen Passat tops the 2018 Subaru Legacy: It’s bigger where it counts. Despite weighing 250lbs less than the wider, bulkier Subaru Legacy, the 2018 VW Passat offers extra legroom in the rear and more room in the trunk so you get more comfort for your passengers and more cargo space for everything else. Volkswagen also offers practical features you can’t get on the 2018 Subaru Legacy, such as fold-down rear seats with trunk pass-through, rain-sensing wipers and Park Steering Assist for helping you squeeze into those tight parking spots. The base engine available inside the 2018 Subaru Legacy is both larger and less-efficient than the lean, mean 2.0l turbocharged inline four-cylinder engine that comes standard in the new 2018 Volkswagen Passat. In fact, superior German engineering on the VW means a smaller engine delivers the same horsepower, better fuel economy and still manages to get to 60 mph quicker than the 2018 Subaru Legacy. Upgrade to the V6 Passat SEL Premium performance trim and you’ll get 280 horsepower attached to VW’s sophisticated DSG® double-clutch automatic transmission — something you can’t get on the Legacy — for acceleration off the line that is both smooth and powerful. Even the top-end 2018 Subaru Legacy only has 256 horsepower. The 2018 Volkswagen Passat earned a highest-possible 5-Star rating from the National Highway Traffic Safety Administration in their crash tests. 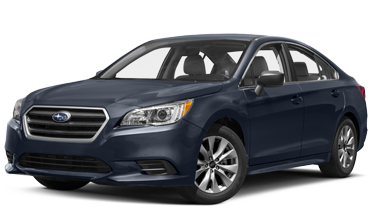 Plus, Volkswagen offers standard safety features available only as upgrades on the 2018 Subaru Legacy. The 2018 Volkswagen Passat offers pre-collision warning and emergency braking features on the base S trim — you’ll have to move up to a higher trim to get the same features on a 2018 Subaru Legacy. Volkswagen’s exclusive Intelligent Crash Response System and Automatic Post-Collision Braking help bring the car to a stop, unlock its doors and engage the hazard lights in the event of a collision, preventing further complications after a crash. These are just a few of many safety advantages over the Subaru Legacy that are waiting for you behind the wheel of a new 2018 Volkswagen Passat.